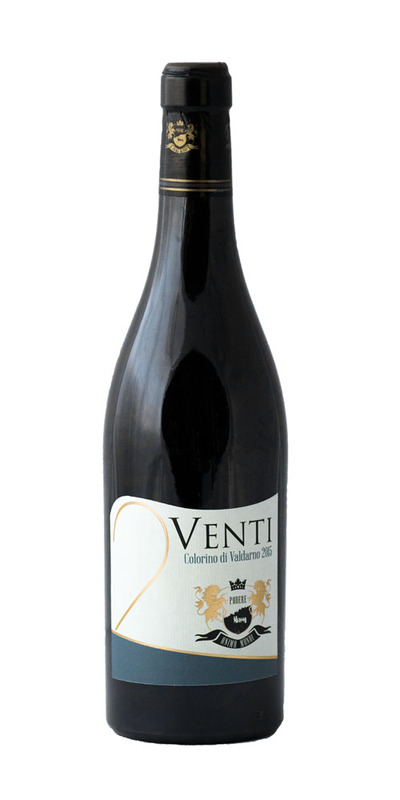 Due Venti is one of our most important vineyard. From the vineyard Due Venti we produce also a really special wine, “Due Venti Colorino del Valdarno”. Colorino del Valdarno is a wine grape used often in blend with other grapes to add color to the wine. We like to produce just monovarietal, natural wines, to express at most the terroir. In our vineyards we act according to the principles of biodynamic agriculture, we follow the rhythms of nature and of the seasons. “Due Venti Colorino del Valdarno” matches well with traditional Tuscan dishes: oven or roasted beef, hare or wild boar meat, the roasted Cinta Senese piglet. Sandy loam, originated in the Pliocene period. A soil with proportions of sand, silt, and clay. The vineyard is 160 m a.s.l., south-north facing. Vineyard is 1 ha.